The location was in a historic area and it was beautiful. It had good restaurants nearby that we could walk to as well as a lookout point to see the Alhambra, which was amazing. The room is very clean with warmest welcome. The owner helped us to catch up our tight schedule, did not miss the opportunity to visit The Alhambra. The location is nice to view the whole city though driving is challenge. Great place, we love it. 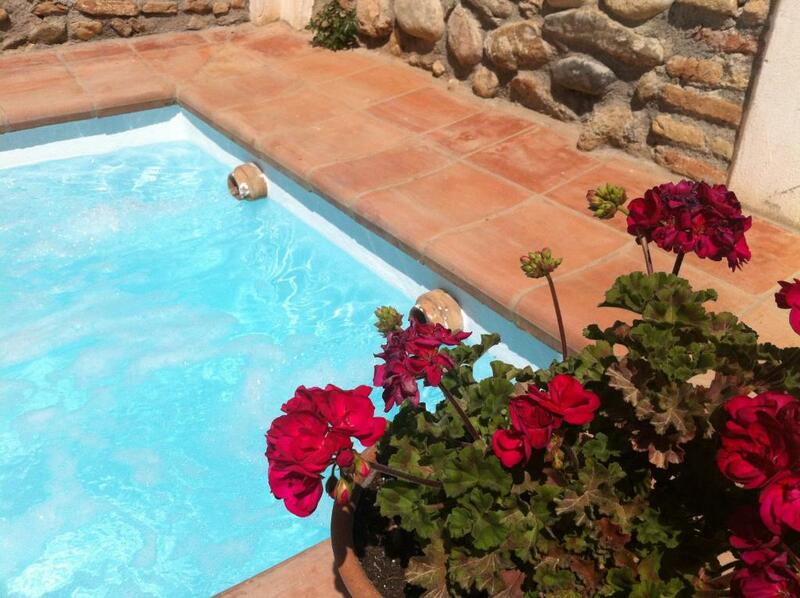 The apartment was perfect- cottage feel, extremely clean, perfect location, staff was incredibly helpful. We loved everything! What a wonderful place! 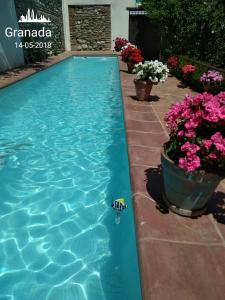 We loved the gardens, the pool and the neighborhood. The rooms were beautiful and well equipped. They showed care and consideration for every need we had. Lovely apartment with beautiful gardens and a nice pool. Great location for walking to most places in Granada. Food shops and restaurants close by. Beautiful views. This was an amazing property in a fantastic location. I truly did not want to leave after my 3 nights. Hopefully, I will be returning soon. 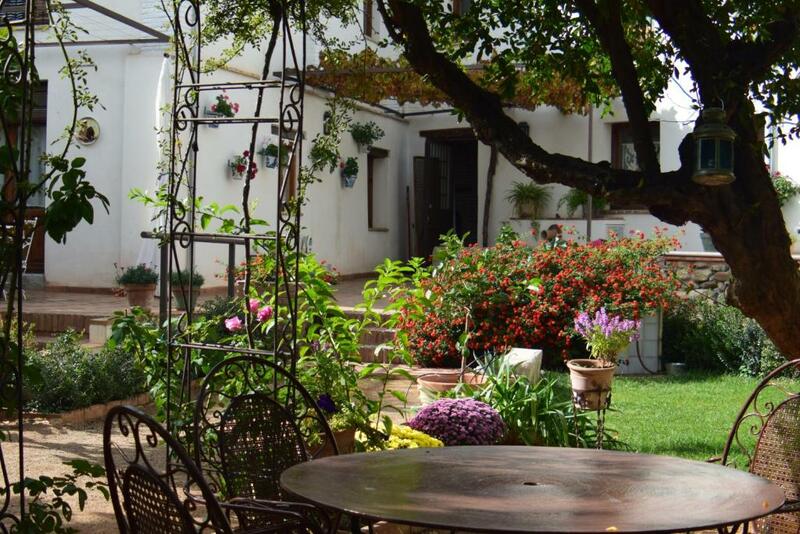 Wonderful location and charming rooms and garden area. This apartment has so much charm! Our room had a lovely view of the courtyard and the Albycin district. It was easy to walk to restaurants and to the Alhambra. The hosts went out of their way to help us with our check in and to familiarize us with the surrounding area. The kitchenette was well-appointed and the apartment had everything we needed. I would love to stay here again. Great location, but quite a hill to walk! Lovely apartments. Well equipt.closd to everything. Hostesses very helpful. 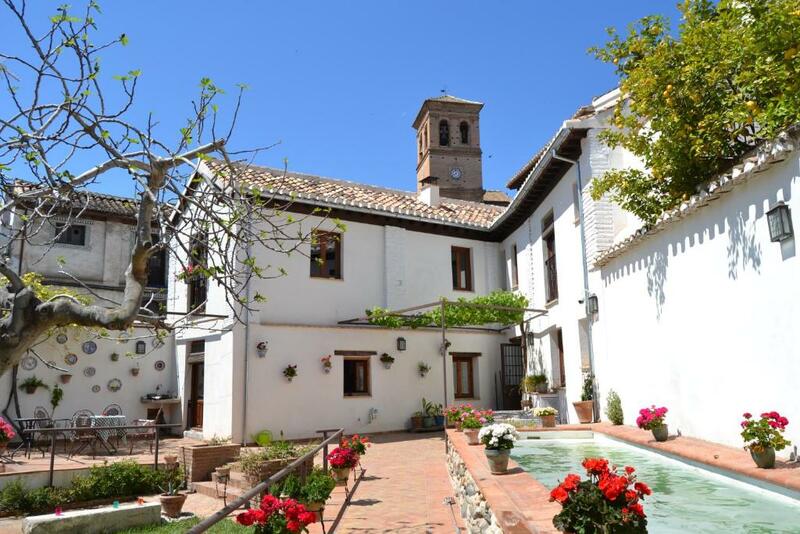 Best place to stay to see all the good places in Granada. Lock in a great price for Apartamentos Carmen de Ramilla – rated 9.6 by recent guests! All units come with a seating area, a flat-screen TV with cable channels and a fully equipped kitchenette with a dining area. A microwave and electric tea pot are also offered. Apartamentos Carmen de Ramilla provides a terrace. San Juan de Dios Museum is 1.2 miles from the accommodation, while Basilica de San Juan de Dios is 1.2 miles from the property. 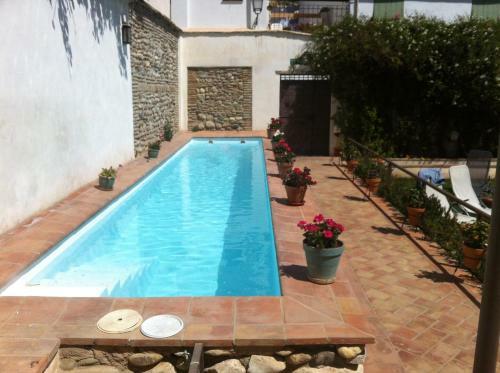 The nearest airport is Federico Garcia Lorca Granada-Jaen Airport, 14 miles from the property. 뀐 Located in the top-rated area in Granada, this property has an excellent location score of 9.7! When would you like to stay at Apartamentos Carmen de Ramilla? This studio has views of the San Salvador church. Please note that additional beds can not be added in this room. Featuring views of the garden and the city, this air-conditioned apartment has a bathroom with a shower, flat-screen TV, and a kitchenette with fridge, microwave, dishwasher, stove. There are 2 single bed in each floor. Located on the ground floor, this apartment features a terrace and views of the garden and the city. It includes a living space with a flat-screen TV and dining table, as well as a kitchen with a fridge, microwave, hob, and kitchenware. The bathroom comes with a shower and hairdryer. House Rules Apartamentos Carmen de Ramilla takes special requests – add in the next step! Apartamentos Carmen de Ramilla accepts these cards and reserves the right to temporarily hold an amount prior to arrival. A washing machine and ironing station are available for stays of 4 or more nights. Please inform Apartamentos Carmen de Ramilla of your expected arrival time in advance. You can use the Special Requests box when booking, or contact the property directly using the contact details in your confirmation. The GPS took us to little streets to get there and we had to reverse backwards to get out of a jam. However, the host was kind of enough to direct us and help us get back on the right roads to get there safely. I didn't like that the Wifi didn't work in our apartment the whole time. That was inconvenient. 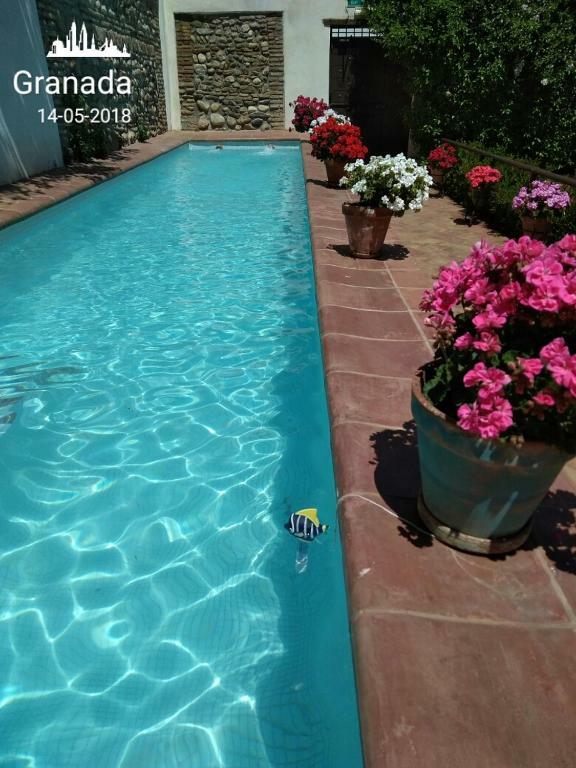 Isabelle, the owner, was extremely helpful at all times, even prior to arrival as she purchased Granada passes for us (including a booking time for Alhambra Palace which was full when we tried to book online). Gave us general local info and even booked taxis for us. Our room was very traditional Spanish which was just what we wanted. The gardens and small pool are perfect. Nothing! The only minor thing would be larger teacups for us Brits who love a good cup of tea! But seriously, everything was perfecto! Carmen de Ramillo is an oasis in the best location! The Spanish decor was appreciated - we personally prefer that to contemporary style. Everything was ‘easy’ - thank you! 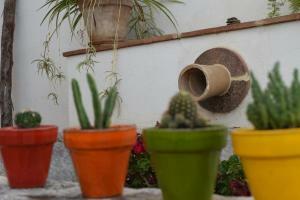 Loved the apartment in its typical Andalusian style, its location, the beautiful garden and the friendly welcome! Highly recommended! The bed is small, and we don't like the double cover. There was no heating in the bathroom. We visited in late February and it was kind of cold. The property is lovely with a lot of character. The garden is beautiful and well attended. We had an apartment equipped with everything we needed: plates, corkscrew, tea/coffee making facilities, extra blankets and pillows. Perfect location. Great location in most charming area of city. Short walk to Alhambra. Delightful garden and pool. Hosts could not be more accommodating. Love having a kettle and facilities to make light meals! Very comfortable beds! Can't wait to come back. Highly recommended. Pillows a little uncomfortable, but this is more a personal preference than a dislike. Wonderful hosts, great communication and very helpful. We arrived slightly later than expected and were in a hurry to make our Alambrah entry time. Isobelle was most helpful. The room was delightful and spotlessly clean. Very charming decor. Good heating. The private garden would be amazing in the warmer weather. It was a really cute and homey place. Felt relaxed after a long day. The heating in the room was lovely! The house! Apartment is situated in the centre of old town. 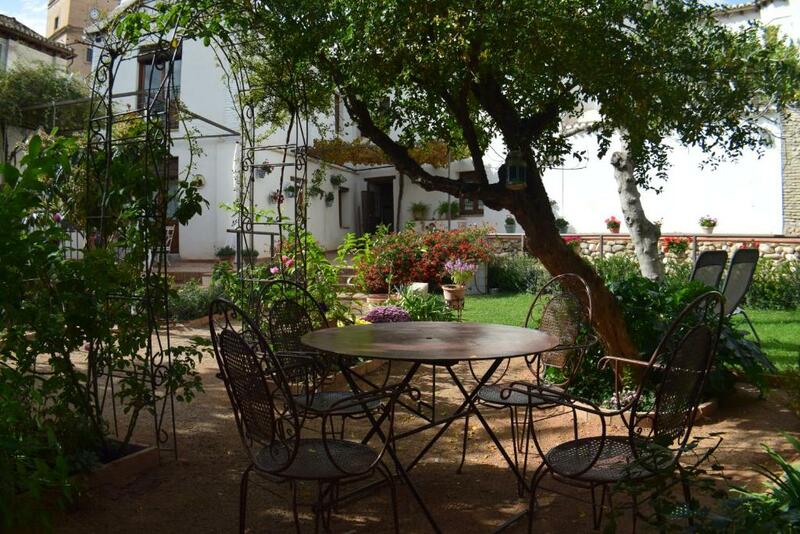 It is a very beautiful place, very close to the Alhambra, Sacromonte,cand the centre of the city. You find everything you need in the apartment. You can park in private parking for 10 euro/day. It's the best way! Beautiful old house, very clean, well equipped and comfortable, beds the comfiest we’ve slept in on our travels. The apartment was cosy and charming and the very lovely private garden (which we used more the we thought due to some unseasonal heat!) was very special. We were in the ground floor studio which opened up onto the terrace and garden. The two ladies who looked after the carmen were very helpful and unobtrusive. They were there to meet us and arranged our airport transfers and Alhambra tickets in advance via email communication. The Albayzin area is ancient and has lots of character, we preferred it to the city centre. Lots of places to eat and drink, and lots to see on the doorstep. It’s walkable but very steep to central Granada, but buses left to the city centre from almost outside the front door every few minutes. An amazing place to stay in a beautiful city! Absolutely everything! A fantastic French-Spanish designed room with very comfortable bed in a great part of the city. Hosts were very attentive, accommodating and spoke several languages. 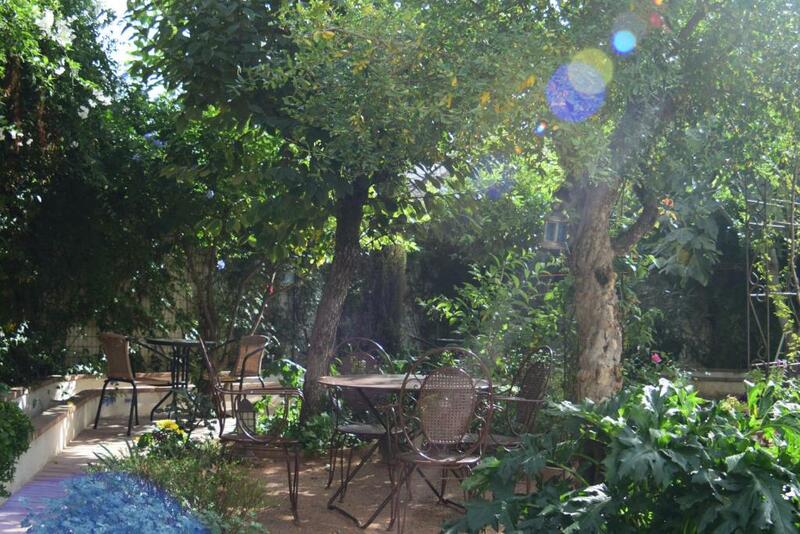 There was even a beautiful garden where you could have your meals. This was the best room we stayed in while we travelled throughoit the South of Spain. Thank you so much!